LG announced its latest flagship smartphone LG G4 yesterday and managed to get quite an uproar and applause. Named as one of the best flagship from LG, G4 is powered by Snapdragon 808 chip, an Adreno 418 graphics unit, and 3 GB of RAM. These specs make LG G4 a little different from the other top end phones adding in the curiosity of whether a move to 808 proved to be a good one for LG or not. 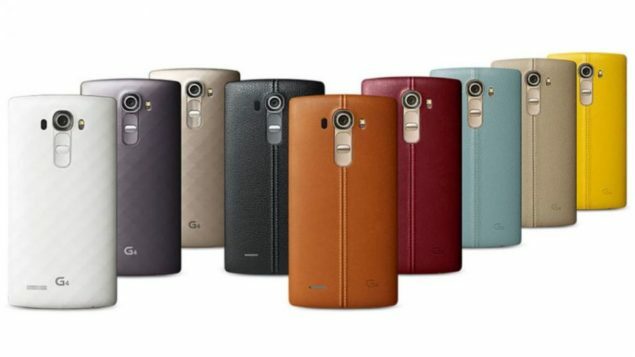 Here are the LG G4 benchmark results trying to show just how good the chipset really is. Earlier rumored to carry a Qualcomm Snapdragon 810 chip, it was later leaked that the phone maker has decided against the chip – possibly because of the overheating issues. With the 810 heating problems, the Android world has got interesting as we are seeing a mixed bag of top-notch chips. From Samsung’s in-house Exynos 7420 to Sony and HTC’s troubling Snapdragon 810 and MediaTek chips that are powering the Meizu smartphones, LG has got quite a lot to fight against. Here are some of the early LG G4 benchmark results to showcase how this Snapdragon 808 mixed with Adreno 418 GPU performs against the major competition. As visible in the Vellamo Metal and Basemark OS 2 CPU tests, Galaxy S6 and S6 edge are leading the game with their Exynos chip. However, LG G4 isn’t far behind and is actually performing better than the superior Snapdragon 810 chip fitted inside HTC One M9. While almost leading the pack in CPU tests, AnTuTu LG G4 system performance shows medicore overall performance by the LG G4 coming very behind the Exynos, 810 and even the MediaTek powered phones. This one doesn’t show the device as one worthy of being put into the flagship category as we always see the flagships managing to either top or at least tailgate the top of the benchmark charts. While these LG G4 benchmarks don’t claim to showcase what the device is capable of under the normal usage but they do help us get some idea of how powerful the chips are under intense load. Getting some good reviews paired with no throttling issues like 810, and an improved camera, we expect LG G4 to perform well in the consumer markets. Are you planning to get one for yourself?